Servers are the underpinning for almost the entire IT system are understandably witnessing wide range of enhancements for better throughput and greater efficiency. Server solution providers are exploring the open source technologies alongside virtualization and the nascent containerization concepts. 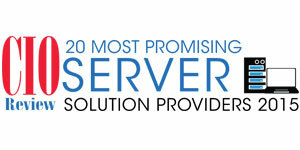 Here are 20 most promising server technology solution providers 2015.